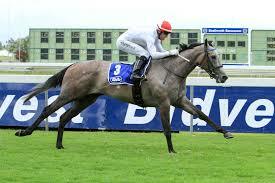 Highlands Stud’s leading sire Dynasty was the dominant factor at Tuesday night’s Equus Awards in Johannesburg. Not only was Dynasty named Equus Outstanding Stallion (for a remarkable fourth time), but his daughters Lady In Black and Just Sensual both won Equus awards last night. 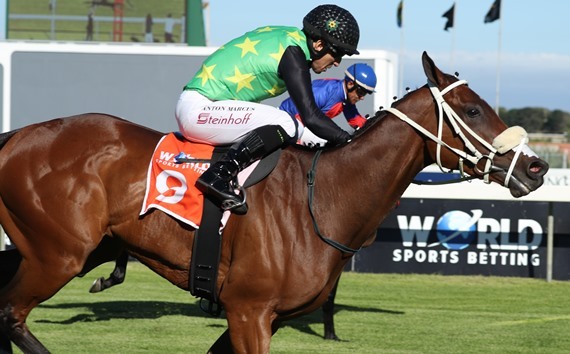 Unbeaten in three outings, and winner of the G1 Thekwini Stakes last season, the Willem Engelbrecht JR bred Lady In Black was named Equus Champion Two Year Old Filly, while her paternal half-sister, the Klawervlei Stud bred Just Sensual was named Champion Three Year Old Filly. It is a second year in a row that a daughter of Dynasty was named Champion Three-Year-Old Filly –with his Bela-Bela landing the same honour 12 months earlier.